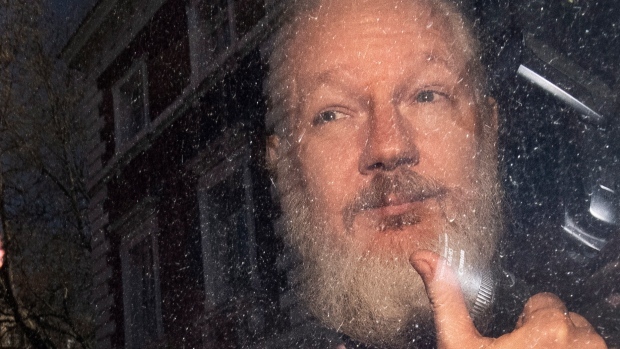 WASHINGTON -- Ecuador's president on Tuesday accused Julian Assange of hosting numerous hackers at the Ecuadorian Embassy in London to give them directions on how to propagate information on topics important to the WikiLeaks founder and his financiers. But at a later point, Moreno said "the president" spends $3 million a month to propagate his ideas and has been receiving money from the socialist government of Venezuelan President Nicolas Maduro to perform economic studies. He did not specify an amount. Moreno said his government has not requested co-operation from the United States for the investigation of Assange and Bini. But, he added, "if we need it, we will request. Let's not forget this is a country with very high technology."